70th Golden Globes: Who Would You Choose? In looking over the films nominated for Golden Globes awards, 2012 was the year for male roles, epic movies, musicals/comedies and foreign films. The nominations categories are tight. Best Picture Drama our choice would be Argo which made its World Premiere in Toronto at TIFF. Daniel Day-Lewis, "Lincoln," Richard Gere, "Arbitrage," John Hawkes, "The Sessions," Joaquin Phoenix, "The Master," Denzel Washington, "Flight." Best Actor in a drama is a very close call since really remarkable performances were seen. 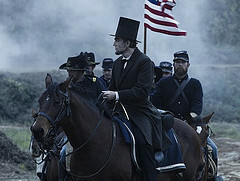 Ultimately Daniel Day-Lewis gets our vote because he redefined Lincoln in a way that was indelible. This is not to diminish the extraordinary role played by Richard Gere as the patriarch of a NY trading empire, the complex character role of Freddie Quell played by Joaquin Phoenix or John Hawkes' difficult and searing role in the Sessions. What set these performances apart was the quality of story telling running through each of these movies. Each character conveys so powerfully the struggles they must endure and overcome in their journey. Best Picture for a Comedy or Musical is another category where comparisons are difficult because the movies are so vastly different and each so excellent. Ultimately Les Miserables will win our vote because of the sheer magnitude of the movie although Moonrise Kingdom and Best Exotic Marigold Hotel were so highly original, beautifully acted and directed and were delightful in every way. 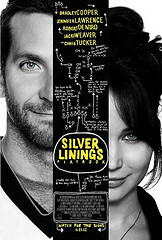 "Best Exotic Marigold Hotel," "Les Miserables," "Moonrise Kingdom," "Salmon Fishing in the Yemen," "Silver Linings Playbook." The Best Supporting Actor category is again a really difficult one to make a choice for because the roles are so remarkably different and each has a significant part in the story contributing immeasurably to the movie. These are roles that are as substantial as the main role in many cases. Our choice would be Leonardo DiCaprio for his amazing ability to completely morph into a character we have not seen before. 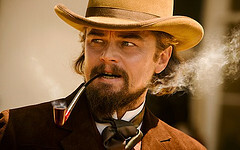 Alan Arkin, "Argo," Leonardo DiCaprio, "Django Unchained," Philip Seymour Hoffman, "The Master,"Tommy Lee Jones, "Lincoln,"Christoph Waltz, "Django Unchained." The final category that has turned up many gems this year is that of BEST FOREIGN LANGUAGE FILM. 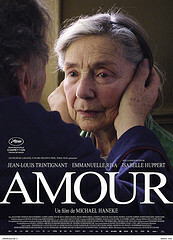 Out of the final selection here we will have to go with the crowd favourite Amour, although there are many films that could have been front runners in this category and are getting credit at other awards events. One of my personal favourites is Anna Karenina and in a completely different vein Rebelle (War Witch). "Amour," "A Royal Affair," "The Intouchables," "Kon-Tiki," "Rust and Bone."